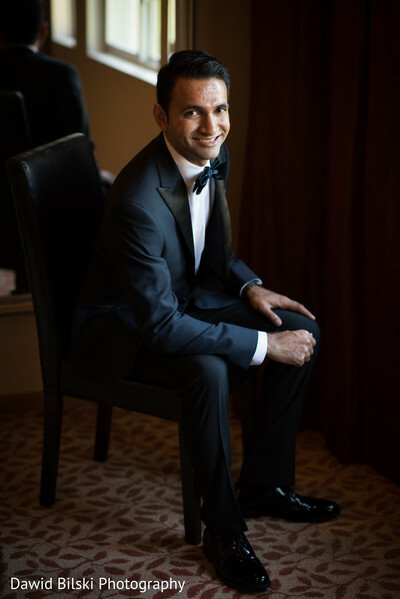 Welcome back Maharanis! 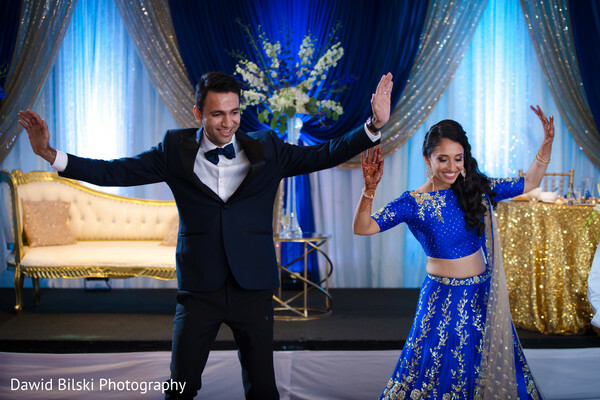 Today we celebrate the sleek and modern reception celebrating Anjana and Vishal, and believe us when we say this soiree is one for the books. 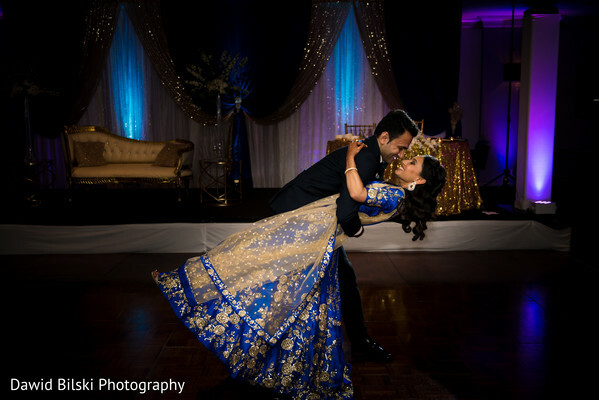 Artistry By Christal glammed up the bride into pure royalty. 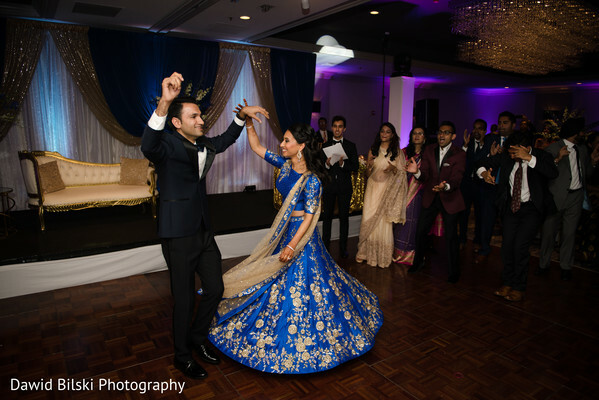 Pink lips, smoky eyes and incredible side swept waves were the perfect beauty choices for this bride's sensational ensemble. 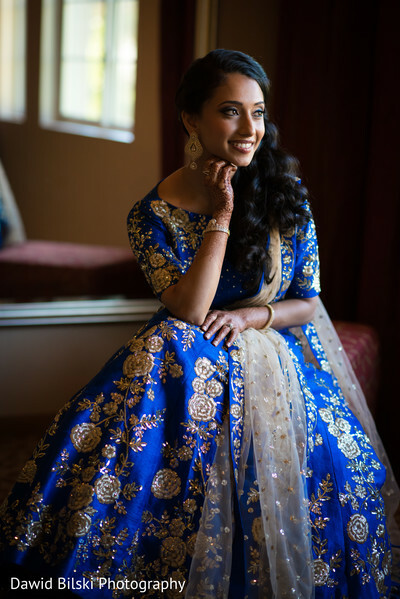 And we’re obsessing over her cerulean silk lehenga that featured the most delicate floral embroidery. So lovely! 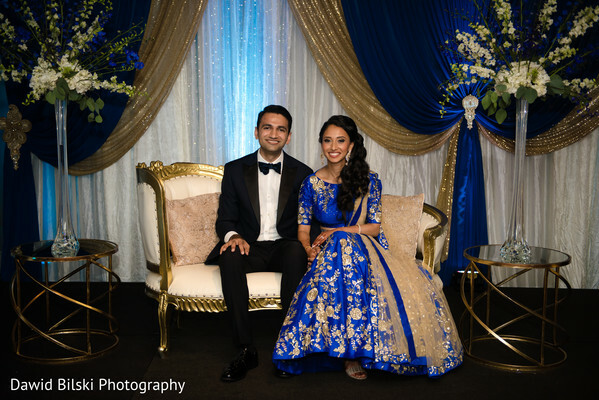 Coordinating with Anjana’s lehenga to a tee was the indoor ballroom of the Marriott San Mateo with a stunning blue decor theme that incorporated a plethora of turquoise uplighting and draping. 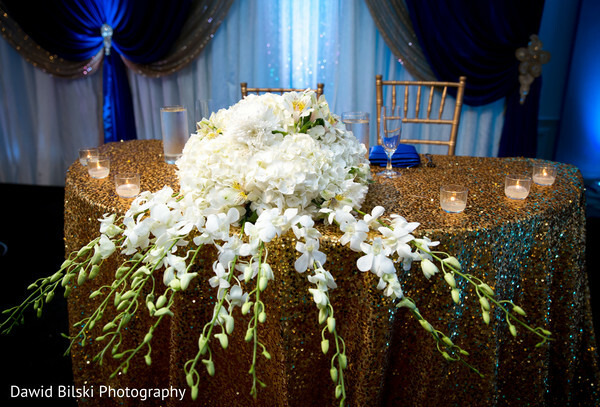 This ultra luxurious affair was the perfect mix of modern glamour mixed with the deep roots of Bollywood. 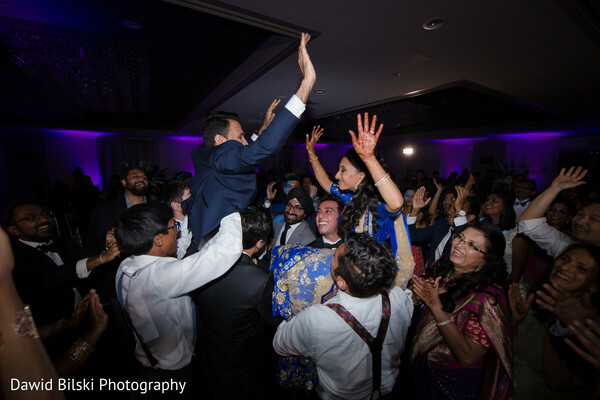 We’re loving all the energetic dancing in these photos that proves this was one banging bash! 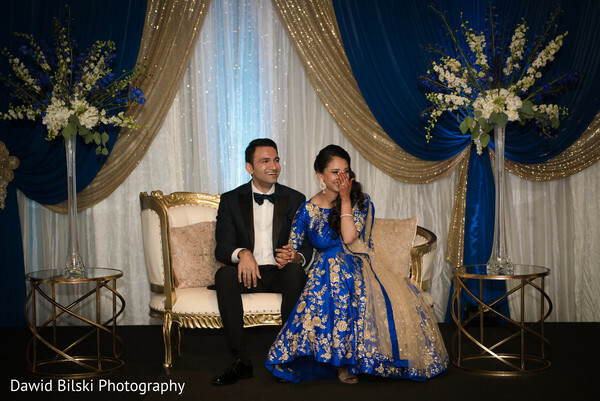 Maharanis, sit back, relax, and peruse all the gorgeous images by Dawid Bilski Photography in the full gallery. Have a lovely evening Maharanis! 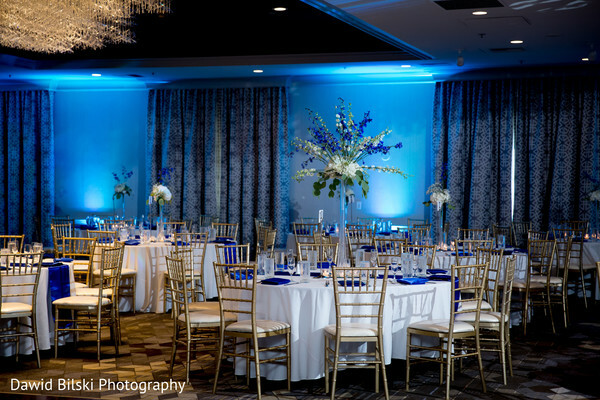 Dawid Bilski Photography, San Mateo Marriott and Artistry by Christal-Christal Clear Cosmetics are members of the Platinum Guide. Love what you see? Explore their portfolios.